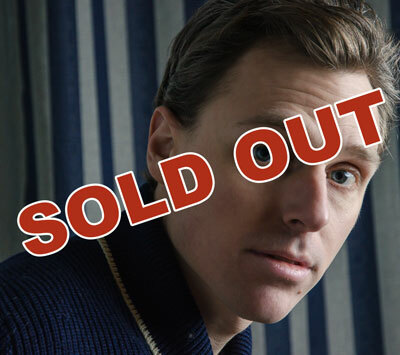 Canada has produced some of the world’s most enduring songwriters and Joel Plaskett is being hailed as one of the best. Since spending his teenaged years recording and touring with Halifax indie upstarts Thrush Hermit, Plaskett has been writing his own story. After releasing two critically acclaimed albums – In Need of Medical Attention (1999) and Down at the Khyber (2001) – independently, Joel signed to Maple Music Recordings for the release of 2003’s Truthfully Truthfully, a rock tour de force with his band, The Emergency. That record scored with critics and fans alike and truly put Plaskett on the national radar once and for all. Truthfully Truthfully was nominated for a Juno Award for Alternative Album of the Year and won an East Coast Music Award for Rock Recording of the Year. During a summer break from touring in 2004, Joel responded to a longtime fan’s offer of recording time at a home studio in Mesa, Arizona. The results of that journey are on Plaskett’s MapleMusic effort, a solo album called La De Da. The album is “solo” in the sense that Joel plays all the instruments but it’s by no means a simple acoustic project. It also isn’t a permanent move away from his work with The Emergency. Rather, it’s the mark of an artist at home with his instincts and his creative muse and one that’s willing to follow fearlessly where those imperatives lead. La De Da attracted attention at regional and national media and the hit single “Happen Now” topped the Canadian campus music chart for months running. Joel has toured extensively both solo and with The Emergency, to sold-out clubs, theatres and headlining festivals throughout Canada, the United States and Australia, on the heels of great Canadian success with his Make A Little Noise DVD & EP (2006) and Ashtray Rock (2007). Make A Little Noise spawned an infectiously catchy hit single, “Nowhere With You,” that landed Plaskett on the Top 10 at Hott Adult Contemporary (AC) radio. He also garnered three 2007 East Coast Music Awards wins for “Nowhere With You,” DVD for Make A Little Noise, and Songwriter of the Year. Ashtray Rock was nominated for the high profile Polaris Music Prize award, and earned Plaskett and his band all six of the 2008 “of the year” ECMAs for which he, and they, were nominated: Recording, Group Recording, Single (for “Fashionable People,” another hit song), Video (also for “Fashionable People”), Rock Recording, and Songwriter. Topping that off was Joel’s Juno Award nomination for Songwriter of the Year and his placement as First Place Winner in the 2008 Great American Song Contest and the Billboard World Song Contest for his single “Fashionable People” (in the Pop category). Joel’s triple layered album, Three (released March 2009) features a stellar line up of guest musicians including his father Bill Plaskett, Rose Cousins, Ana Eggie and his band, The Emergency (Chris Pennell and Dave Marsh). Three received overwhelming response from media and radio programmers across the country and was nominated for the prestigious 2009 Polaris Music Award, which recognizes the best Canadian recordings in the last year. Without a doubt, another personal career highlight for Joel and his band was sharing the stage opening for the legendary Paul McCartney (in Halifax, Nova Scotia) performing to an audience of over 50,000 people.?? As a special treat to his fans, in 2011, Plaskett took on yet another project: a collection of demos, outtakes, rarities and B-sides from over a decade of music-making, deliciously titled EMERGENCYs, false alarms, shipwrecks, castaways, fragile creatures, special features, demons and demonstrations. Boasting twenty tracks culled from dozens of unreleased or rare recordings, EMERGENCYs is a fascinating slice of Plaskett’s history, from his earliest days with the Emergency (three songs from 2001’s Down at the Khyber are featured in demo form) to his latest trips into the studio post Three. The year 2012 started in high gear for Plaskett, and anybody who’s been following along already knows the reason why. Out of the doldrums of another long Canadian winter, Joel and The Emergency worked around the clock, sending weekly volleys to fight off the seasonal blues: a brand new song – recorded, mixed, mastered, and released – every single week for ten weeks, accompanied by snippets of video documenting the process in-studio. It was an epic undertaking, which came together in the physical release of Scrappy Happiness on CD and vinyl. The album is garnering outstanding reviews from the media, is long listed for the Polaris Music Prize, and Joel Plaskett Emergency kicked off their Scrappy Happiness Canadian tour with a live performance on CBC’s George Stroumboulopoulos Tonight. There are a handful of gorgeous tunes that call to mind the folk inflections of Three, while hewing to the lean, stripped-down production that mark this distinctive record as a whole (the breezy lilt of “Harbour Boys” and the standout “I’m Yours”). But Plaskett’s winking references to his beloved Cactus and Husker Du albums suggest that his riffing chops are as strong as ever. The Emergency provide the muscle for gritty guitar numbers like “Lightning Bolt” and “Time Flies” and they evidently haven’t lost an ounce of love for the kind of melodic rock that inspires tunes like “Somewhere Else” and “Tough Love,” tracks that echo back to their earlier records, Down at the Khyber and Truthfully, Truthfully. Scrappy Happiness is an eclectic display of Plaskett’s continued songwriting prowess and playful lyricism. While many of the songs tap bittersweet emotions hidden in the fuzzy details of the past, it is the present where this record resides. Time’s flying, so let’s fly with it. Music – the sheer jubilant redemptive promise of music: on the radio, in the car, in the kitchen or from the stage – occupies a prominent place in these songs and one can hear the joy the group took in their creation. But none of this would matter if it weren’t also, in the end, another compelling record from one of Canada’s leading musical voices.